The Faculty of Information Technology (FIT) at Brno University of Technology was established on 1st January 2002. 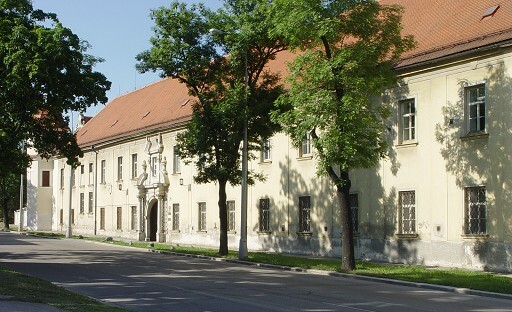 It was developed from the former Department of Computer Science and Engineering, Faculty of Electrical Engineering and Computer Science, Brno University of Technology. The Department of Computer Science and Engineering was established in 1964 and has had a long tradition in teaching computer science and informatics in the framework of the former Faculty of Electrical Engineering, later called Faculty of Electrical Engineering and Computer Science (FEECS). At present, the Faculty of Information Technology offers a three-year Bachelor degree programme Information Technology (Bc. ), a two-year follow-up Master degree programme Information Technology (Ing. ), and Ph.D. degree programme in the scientific branch Information Technology. These degree programmes respect the principles of the Bologna Declaration for the development of tertiary education in Europe. The structure of all degree programmes is fully compatible with the European space for higher education and European Credit Transfer and Accumulation System (ECTS). The second-level students and postgraduate doctoral students are involved in research projects, which form an important part of the Faculty activities. A considerable part of teaching and research activities is centralized in the Computer Centre. Apart from the scheduled laboratory work, students work individually on their own semester, year or diploma projects. Laboratories equipped with personal computers are at their disposal as well as the laboratory with workstations. All the computers are interconnected in the local network, which is connected to the Internet.